Made in USA with and imported fabric. SKU: drl13c01hl. 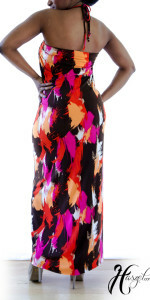 Categories: Dresses, Maxi Dresses, Spring Dresses. 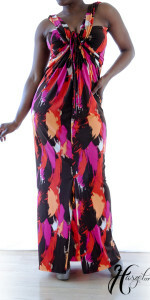 Tags: brown, convertible, drape, drawstrings, dress, front split, gathering, high waist, high waisted, jersey, keyhole, knit, long, long dress, maxi, maxi dress, maxidress, off shoulder, orange, pattern, pink, printed, printed jersey, printed knit, reversible, rouching, shirring, short, short sleeves, skirt, split, spring, summer, tiered, top, white. 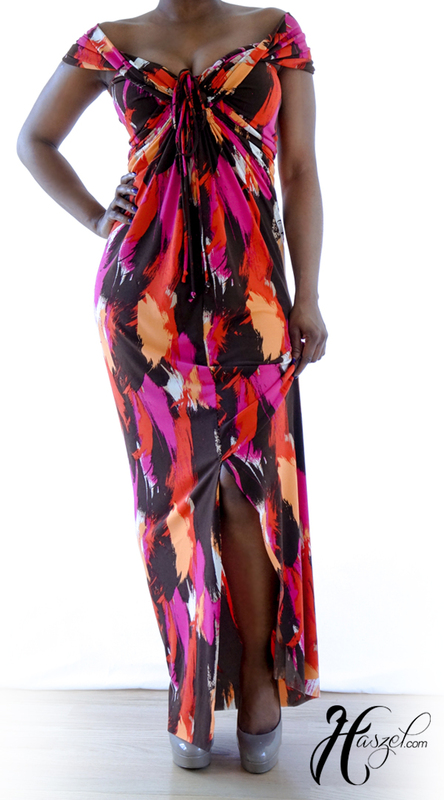 Short Sleeve Convertible Maxi Dress. This dress is a top and skirt connected by two drawstrings. You get a skirt that can be worn on it’s own as a skirt or dress. The top can also be worn along with something else just use another tie for the front. 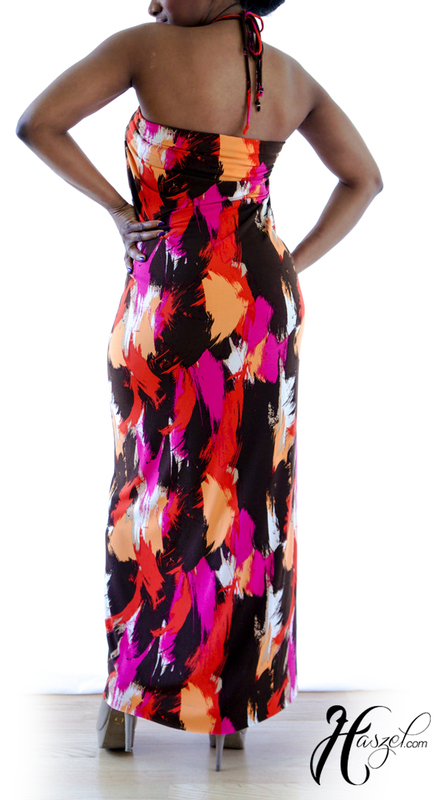 This dress is so fun and versatile dress, you can wear this combination ten times and never look the same. 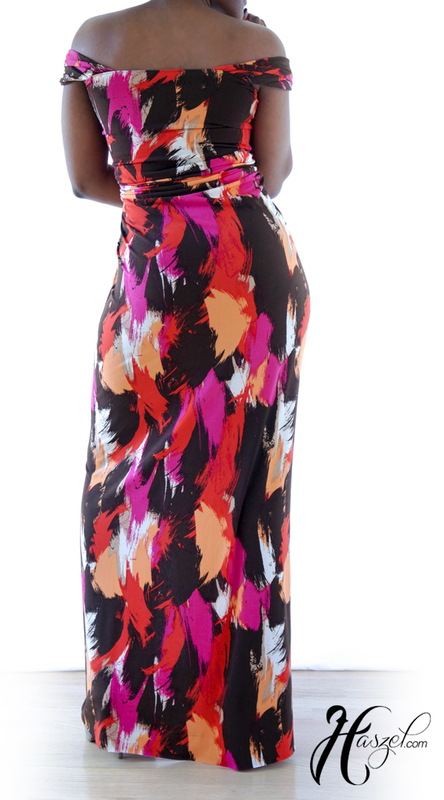 Print: Brushstroke Print (Pink Multi Combo).